Most museums don't stimulate your senses with an onslaught of sounds and blinking lights. They definitely do not accept quarters as payment to fully enjoy the artwork. Despite this, the Supercade is a museum that takes great pains to restore one of the most important moments in video game history: the arcade. Owner Van Burnham's collection of pre-1989 games are meticulously rebuilt and maintained in a climate-controlled environment. If you've ever sided up to a video game cabinet, placed a quarter on the seam between the controls and the monitor and uttered the words, "next game," this is your Louvre. 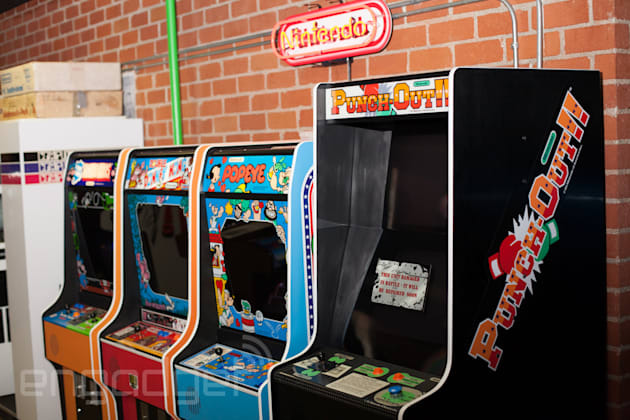 Nestled in the greater Los Angeles area, the building that houses Supercade gives nothing to indicate that inside is one of the more impressive arcade cabinet collections in the world. The lack of visible signage isn't a problem because it's not open to the public. But the games need to be played and Burnham hosts special events and invites design schools to bring their students in to understand that at the core, gameplay (even when it involves only a few pixels) is key to a great game. And great -- yet simple -- gameplay is where this all started. As a child, all Burnham cared about was video games. "My dad had bought me a Magnavox Odyssey when I was a kid and I was mesmerized by it," she says. As she got older, she would spend all her free time at the video arcade: at the mall, the boardwalk, even hotels. "Wherever I was, all I wanted to do was play games," she says. Before there was the Supercade museum, there was the Supercade book. While working at Wired, Burnham pitched an article about the 30th anniversary of the Tennis For Two installation at Brookhaven National Labs. She went to executive editor Kevin Kelly asking him if she could do a feature on it for Electric Word, the magazine's front-of-the-book section. But Kelly wanted her to take it further. It ended up being the book about her love of video games. 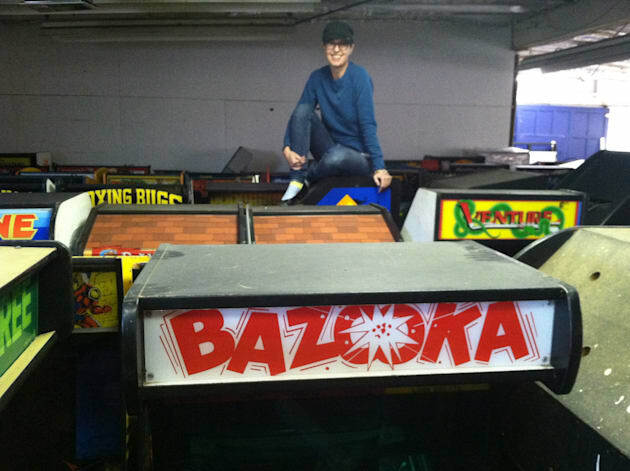 After years of writing and talking about her love of games, Burnham took the plunge and purchased a Donkey Kong Jr. cabinet. Then she bought another game. And another. And another. Now her collection is pushing 500 titles. Because it's really a museum, many of the games being renovated get the same type of dedication to detail usually reserved for renaissance paintings. The Nintendo Punch-Out cabinet originally shipped with a texture that more resembles a grand piano than a video game. Instead of just throwing on a coat of paint and calling it a day, Burnham stripped it down to the wood, painted it black and added nine coats of high-end automotive lacquer. "It took several weeks to get it right, but it is silky smooth with just the right luster," Burnham said. But it's more than the exterior that needs work. Actually being able to play the games is the goal and it's a moving target. You can't just call up Nintendo or Atari and order parts for a game built in the 1980s. Hardware is always in short supply and it's necessary to stock vintage components to keep the games going. "We try to fix the original part whenever possible, but some of these games are over 40 years old," said Burnham. The results are astounding. The games look and feel like they are fresh off the factory floor. Talking to Burnham, it doesn't feel like an obsession and it's more of a stewardship of history. 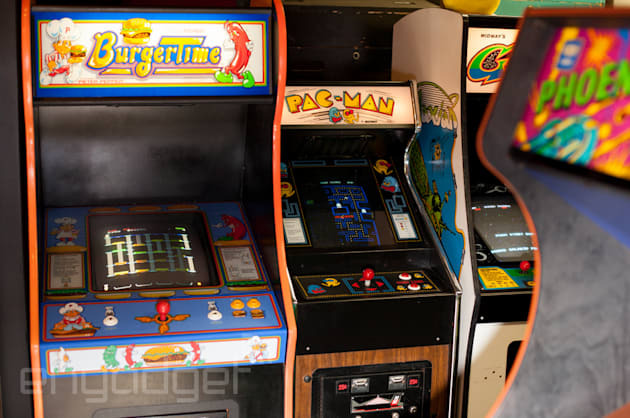 Pac-Man resides next to BurgerTime. Toobin' stands beside Star Wars. It's like walking into a really amazing arcade in 1988. All your favorite games are there along with games you've never heard of. That was the great thing about arcades; you didn't need to throw down $60 for a new game. You made your decision after dropping a few quarters. Arcades also had a social element that current gaming culture lacks. "It was amazing; the energy was just so intoxicating," Burnham said. "The excitement of a new game, the thrill of getting a high score with a crowd of people watching ... there really wasn't anything else like it." It didn't last. Arcades were already in trouble because of the video game industry crash of the mid-1980s, but in the 1990s, home console games were looking better than their arcade counterparts. Why go to a run-down arcade when you could play the same game at home on the couch? Arcades shut down and gaming receded back into homes with online gaming becoming the de facto means of social interaction. Fortunately for those wanting more interaction outside their circle of gaming friends and random voices on the other end of a headset, arcades are making a small comeback. 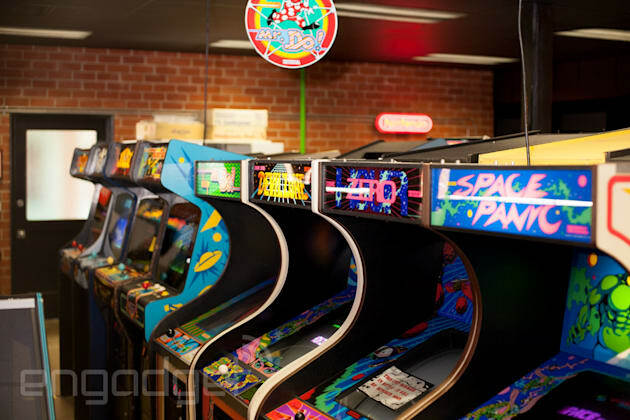 While you won't find a Tilt in your local mall anytime soon, there are places like Barcade in New York, Brewcade in San Francisco and EightyTwo in Los Angeles. Burnham believes it's more than just playing old games that makes these places thrive: "It isn't just about being nostalgic about the games; it is about having fun playing them with friends and strangers. These games are addictive. Add a few drinks to the experience and it makes for a super fun night out." As for Supercade, the venue itself will stay private, but that doesn't mean you won't have a chance to see at least some of the collection. Burnham is teaming up with Giant Robot's Eric Nakamura for an exhibition they hope to mount in Los Angeles. Plus, she has a new book and new site in the works. All of it will be completed within the earshot of Donkey Kong stomping on steel girders, Pac-Man swallowing power pellets and the Defender ship exploding into a hundred pieces -- the sounds of a museum that needs to grow before the artwork it collects loses its last life.